Unlike radiographs, no radiation is used in an ultrasound. An ultrasound uses sound waves. Depending on how many sound waves are absorbed or reflected, an image of the internal organs is formed that can be seen on a monitor. Ultrasound is painless and does not require anesthesia or even sedation in most cases. For an ultrasound evaluation to be done, the pet needs to have the hair shaved from the area to be evaluated, as hair will interfere with the images. This test is typically done after blood tests, x-rays, or a physical examination indicates a possible problem. It is useful for evaluating things like abdominal organs, eyes, and the reproductive system. As with people, it can be used during pregnancies. There is a specific ultrasound called an echocardiogram that is used to visualize the heart and blood vessels as well as the valves of the heart. Ultrasound can “see” some things that can’t be visualized on radiographs. For example, if the abdomen is filled with fluid, the organs can’t be distinguished on traditional x-rays because fluid and tissue have the same density. However, they appear quite different from each other on an ultrasound image, so we can see through the fluid. It is also useful, for the same reason, for seeing inside an organ such as the heart or liver. On the other hand, it is not good at seeing through air or bone, so it does not replace radiography but rather is complementary to the information we can get from radiographs. It is common to do both x-rays and ultrasound in order to get a complete picture of what is going on with a patient. Because the equipment is quite expensive, not all veterinary hospitals have an ultrasound machine. 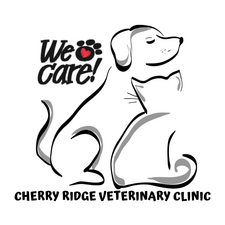 Here at Cherry Ridge Veterinary Clinic, we have invested heavily in a state-of-the-art ultrasound unit that is capable of both abdominal and echocardiographic (heart) scans. Our doctors have spent many hours of continuing education continually improving their ultrasound skills. 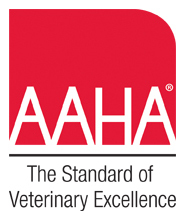 We also have a team of veterinary radiologists that we transmit our patient's ultrasound images to, for an added level of quality and certainty when using ultrasound to diagnose your pet's illness. We are proud to offer this advanced diagnostic capability in-house, avoiding the time and inconvenience for our clients having to travel to a specialty center for this service.